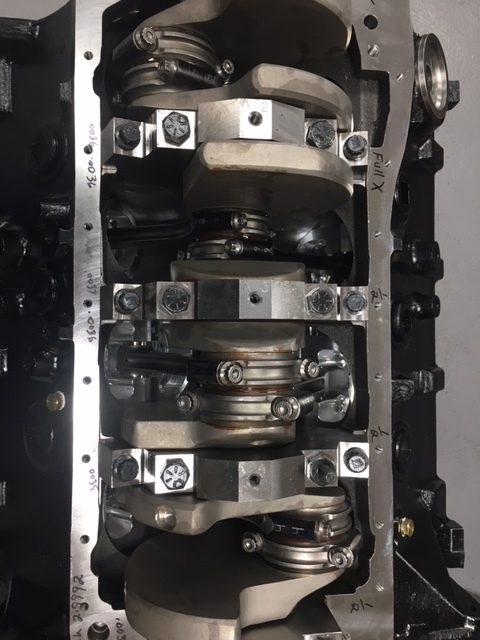 Did you get tired of talking about exhaust rocker arm lengths and 3" main bearings? LOL...yeah, great advice. 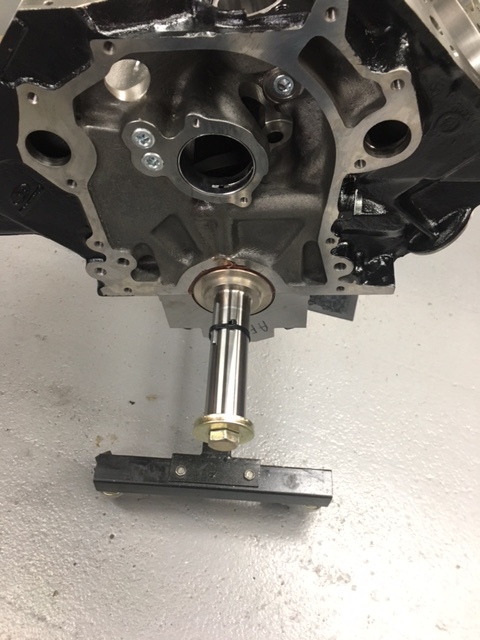 Not too many people have enough experience to "know" which cylinder head is going to make the most power or even X amount of power. Maybe one or two on this forum. that's a pretty bold statement....I'm guessing you ain't one of them. Seems there's a lot of guessing around here. Come on Scott. One or two members of this forum have enough experience? really? You are one of the two with experience? Who is the only other one? I don't want to guess. Me thinks you should be just a little more humble. Well you're probably right...but how many guys here can actually calculate cross sectional areas and velocities throughout the runner, use bore, stroke and rpm to calculate demand in cfm, and put those numbers together to actually KNOW what a head is capable of or which will make the most power for a given combination? There's a lot more to it than just throwing a head on the flowbench and "experience". "Experiencing" what happened when you tried head A, head B and head C and remembering the results is a lot different than knowing WHY head A, head B and head C did what they did. Experience is one thing and very valuable but understanding the experience with knowledge is another thing all together. It's got nothing to do with humility. This is what I do for a living and I work really hard at it and I rely a lot on experience. I respect experience. Lot of things I haven't got a clue about that more experienced guys do, but I respect knowledge and understanding a lot more. That's why I asked Mark, when he scoffed at everyone and said he didn't get it, just choose the head that will make X amount of power, like pfft...what are you guys, stooopid? I got the answer I expected from him...a non (humble) answer. I tried to go into some more technical depth about the heads (especially the AFR) earlier in the thread but no one seemed interested because most are guessing. Educated guesses, experienced guesses, but guessing none the less. My "one or two" was not literal, but really, probably not far off. Randy and Scotty are probably the two others I know of. Didn't mean to come off arrogant and probably should have just kept to myself. "Give a man a fish..." you know the rest. LOL...yup. I did, didn't I. No worries. I agree wholeheartedly about raw flow bench flow being the only criterion used to estimate performance potential. And yes even the "experts" make power estimates. The flowbench offers so much more than raw flow numbers. Airspeed is critical - mapping airspeed in a port is used by many builders these days (as well as us lowly amateurs). 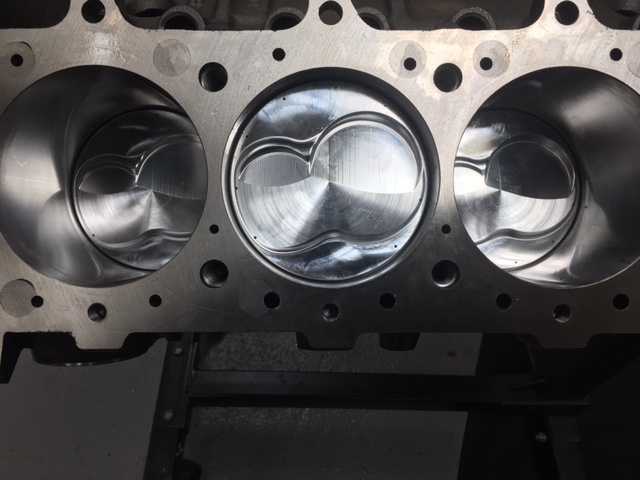 It looks like you have built more than several BBF's using the AFR cylinder head offerings. I just haven't seen these builds posted. you have built. I have said before I like the AFR head - the combustion chamber looks good too. But I have not had any hands on experience with any BBF AFR head. LOL...you guys are so much fun. I didn't "scoff" at anything. I stated an opinion. If you want a 575 H/P 427 Windsor, there are at least 10 heads that will support it. Pick one. If you want a 900+ H/P Windsor there are at least two heads that will support it, pick one. There are actually a few that have experience with the AFR head. Scotty J(mad porter) is one, bpmustand (on the other forum) and several others. The results look very comparable to similar P51 builds do far. Although no AFR build posted yet (to my knowledge) has been an all out 1000+ hp effort. I think there must be one or two being worked on. 68galaxie wrote: There are actually a few that have experience with the AFR head. Scotty J(mad porter) is one, bpmustand (on the other forum) and several others. The results look very comparable to similar P51 builds do far. Although no AFR build posted yet (to my knowledge) has been an all out 1000+ hp effort. I think there must be one or two being worked on. Lem and Phillip Oakley are working on one. AFR deal with custom dome. What compression ratio will you end up with? Looking good Lem and Phillip! STR-LGL-70 wrote: What compression ratio will you end up with? Sounds like what I did just messing around on my street motors head using Pipemax and few measureing devices and of coarse buddys flow bench and a J probe. Ain't nothing but a little research and cyphering..... hell any half smart hillbilly with a slide rule and a .05 mm pencil could figure that one out. let's not make it more than it is. 68formalGT wrote: Looking good Lem and Phillip! I'm guessing the cam should be here next week. What's the spec's on the cam? What carb and size are you going to use? did you special order it from a well known expert?